Christmas and winter doesn’t just bring the prospect of snow, a mountain of mince pies and a tree filled with lights and baubles. No, it also brings party season! Between the work’s Christmas party, the annual Christmas meals with friends and the after works drinks (that don’t end until 2pm) – well, party season is pure fun and games. But it really can take it’s toll on our skin. I’m all for that extra glass (or bottle) of bubbles during party season but between that, the late nights, and the lack of sleep…well party season can take it’s toll. So to avoid the fun backfiring, there are some great ways to get party ready in no time at all. For me, the trick to any preparation for a party, night out or special occasion will always start with exfoliation. Scrub away that top layer of skin and nastiness that sits on top of your pores, as they say: out with the old, in with the new! 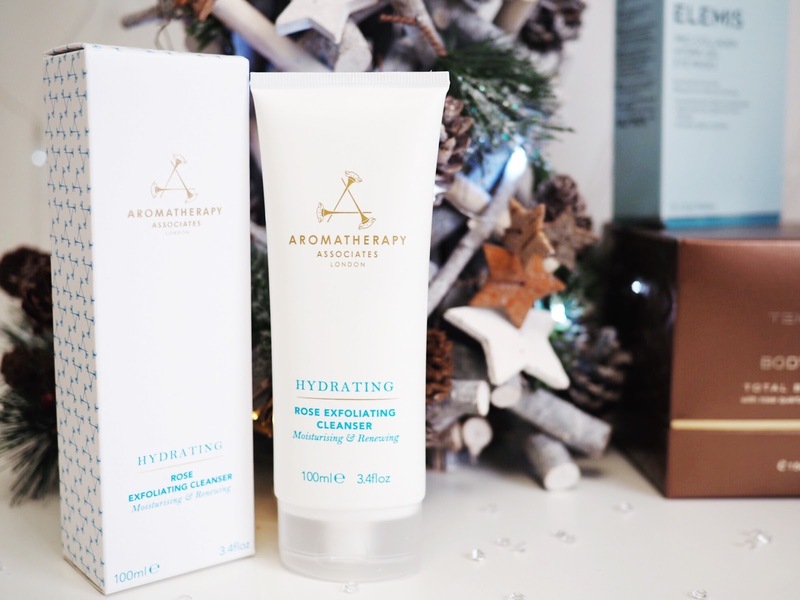 I’ve become hooked on the Aromatherapy Associates brand this year, and their Hydrating Rose Exfoliating Cleanser is an amazing way to gently buff away the skin and leave it looking smoother and brighter. 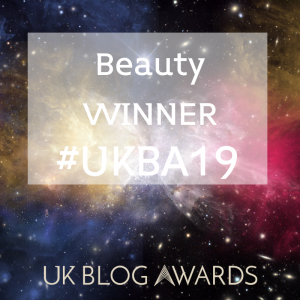 It works to encourage cell renewal too, and because it contains rose water I know that my skin is being looked after, even through the usually abrasive exfoliation routine. Do this at least once a week during party season. After prepping with exfoliation, my routine then moves on to the shower or bath. Which is where I can indulge in the Espa Pink Hair & Scalp Mud. I have really fine hair, which means it gets flat so quickly. However the rain, central heating and constant brushing in winter means I need to give my locks some TLC to keep them looking tip top. All that party season styling will absolutely take it’s toll on your hair, so make sure you invest in something to help. 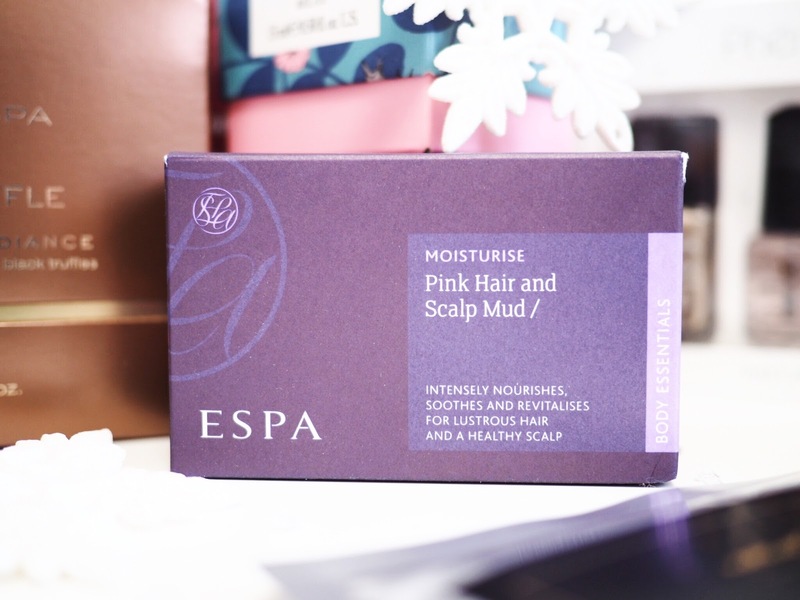 This Espa Mud is a miracle product for this time of year – not only does it nourish the scalp, meaning hair grows stronger, but it also stimulates growth to strengthen and promote healthier hair. So it’s really like a face mask, but for your hair. Plus with all the party season favourite’s – lose curls, you hair will thank you for the indulgence once a week or so. I’m a sucker for a nice shower gel and it’s an integral part of everyday prep, as well as in party season. I’ve been using the Caudalie The des Vignes Shower Gel, which smells lovely and gentle and gently foams when used with a mesh based cloth. It’s a great shower gel with white musk, neroli flower and ginger, so it’s really relaxing too. Great for those nights when you’ve got to dive in the shower at super speed before leaving for the Christmas drinks. Purely for party season, this shimmer infused sponge smells absolutely divine. I’m a big fan of Spongelle anyway, but hadn’t tried their Buff and Glow Cleansing Sponge until this arrived. 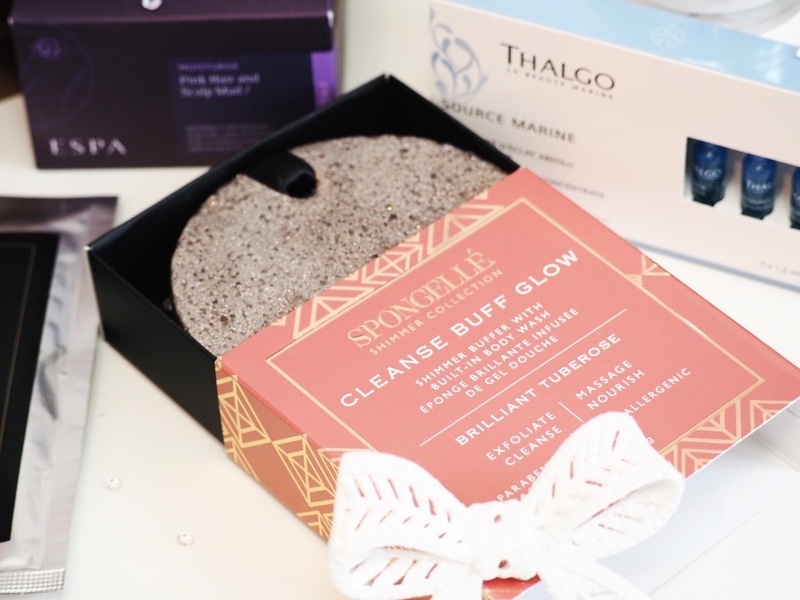 It’s a silver shimmery sponge which comes ready prepped with scented body wash and a gorgeous amount of shimmer to give you that all over body glow. I love how you can get shimmery and sparkly in the shower, it’s again great for those nights when you’re in a rush and need to save on a step later during operation get-party-ready. What type of pampering or special occasion preparation would be complete without a good face mask? 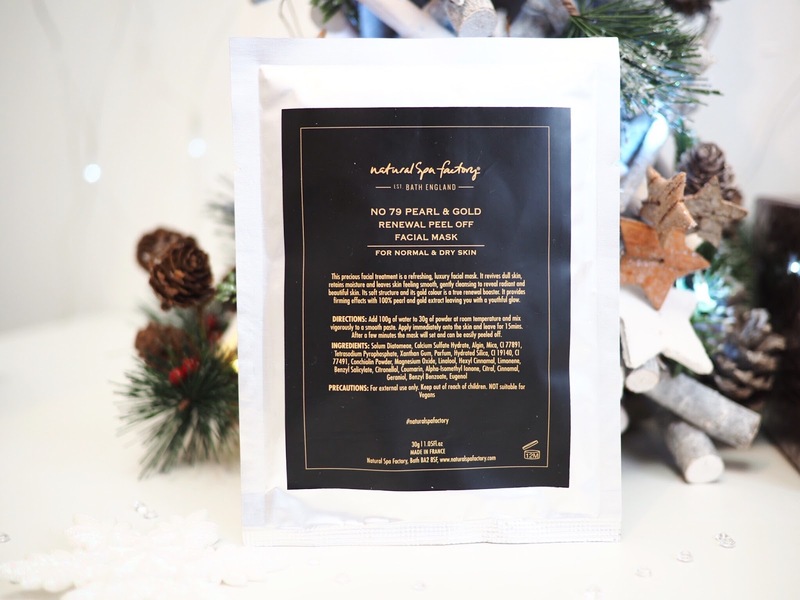 The Natural Spa Factory Pearl & Gold Mask is a divine sounding face mask containing 100% pearl and gold extracts, which leaves skin looking bright and fresh. It also sounds just a little bit indulgent doesn’t it?! Designed to revive skin, brighten and add moisture, it’s perfect for the party season in preparation for beating your colleagues and looking the most refreshed the day after the party. Once in a while there’s a product that makes you sigh a contented sigh of love. 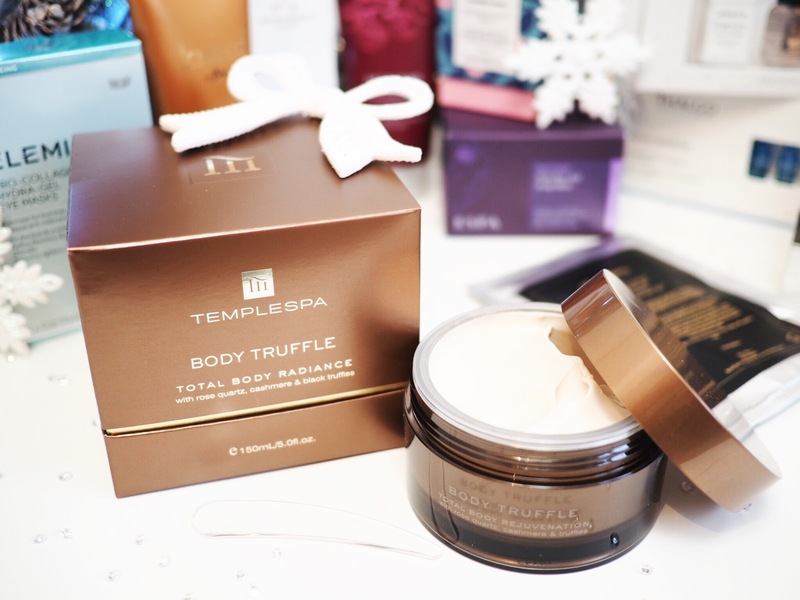 This Temple Spa Body Truffle is it – it’s absolutely divine. And perfect for party season preparation – but please don’t limit it to that, because once you’ve tried this you’ll never want to stop! 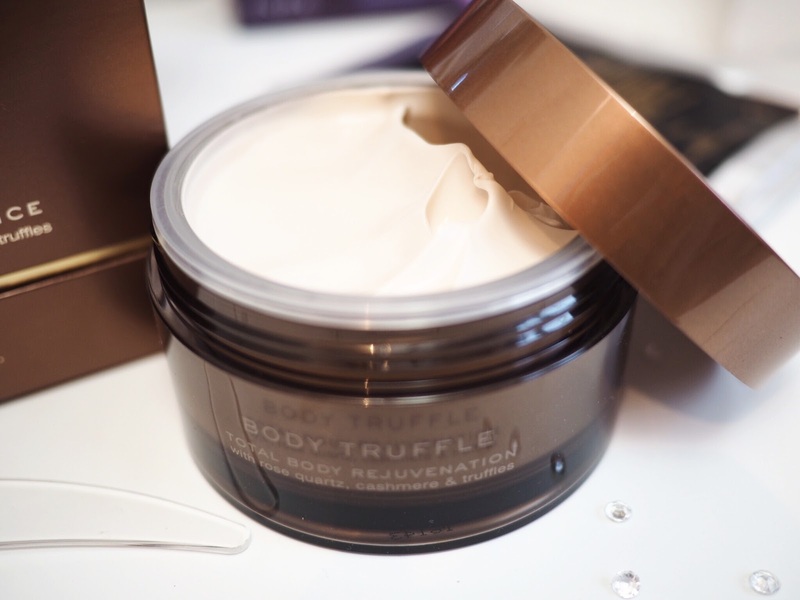 Designed to deliver even skin tone that rivals airbrushing, the mere fact that it’s got the word ‘truffle’ in the name, shows it’s pure indulgence in a jar! Temple Spa say it’s ‘health in a jar’ and I can’t disagree, this makes my body look and feel healthy, soft, supple and completely pampered. It firms, soothes and boost the skin’s natural ability to produce collagen – which means skin feels tighter and like it’s got more elasticity. This is a purely pampering stage of party prep and I adore how amazing it smells too. Next on to a crucial part of party prep – tan time! I wouldn’t go to my Christmas party without a tan, in fact it might be the first time I’ve tanned my pins since I put them away in the autumn. This Kissed by Mii Instant Tan is lovely for adding a nice amount of natural colour, without looking fake. It’s a really liquid consistency and goes on well with their matching mitt. Plus it’s got a small amount of shimmer within the lotion meaning that your legs, shoulders and everywhere else will nicely catch the light as you go. Plus, I love it because it washes off afterwards, so if you don’t want to look that tanned all the time then you’re sorted. When it comes to an essential skincare item, a moisturiser is a must. Especially in winter as the weather changes, the temperature drops and generally our skin needs a bit more attention to detail. 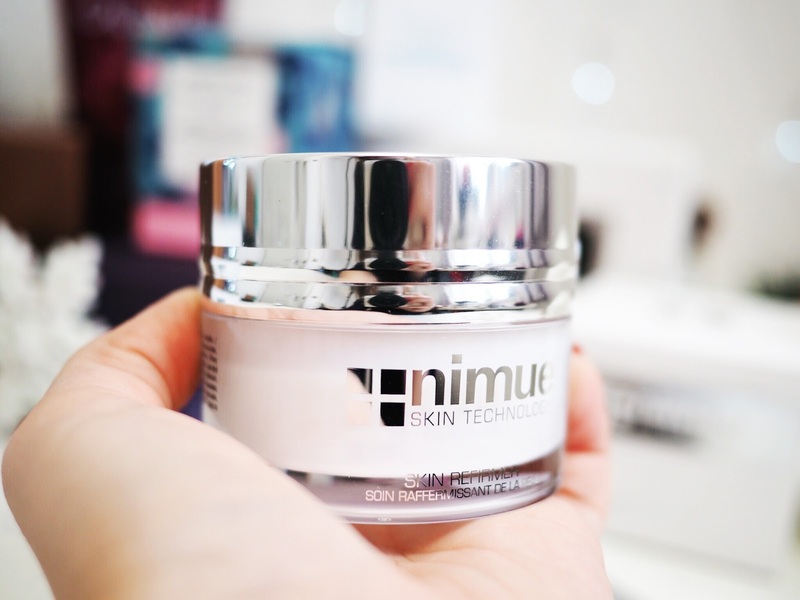 This Nimue moisturiser is perfect for party season and adding some zing back to your skin. It works best (for me) as a night moisturiser, but you could use it morning and night if you have deep wrinkles or very uneven skin tone. It sits nicely and feels lovely. A good winter and party season essential. 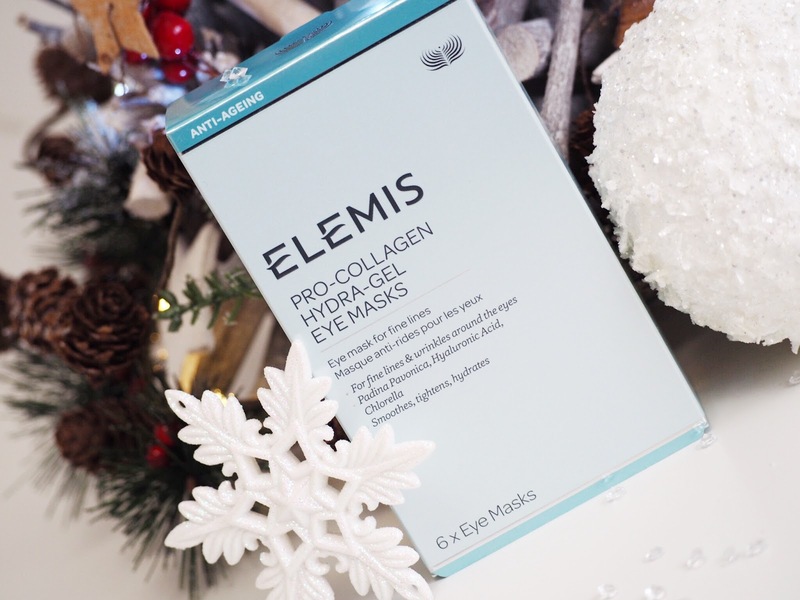 Time to de-puff those eye bags, and the Elemis Pro Collagen Hydra Gel Eye Masks are perfect for soothing puffy eyes. I love these after they’ve been stored in the fridge – the cooling sensation is amazing and relaxing. Although I’m not at the stage where I have to worry about fine lines and wrinkles around my eyes (which these are designed for) I love to sit with an eye mask on and these are really refreshing while preparing for party season. I wouldn’t go to any party without my nails done – I’d feel naked! And party season also means new and sparkly nails for me. I almost always have gel nails that I do myself, but the Jessica Phenom Kits are perfect for those who don’t have a UV Lamp because they provide the same strength and shine – without the need for a lamp. I love the amount of colours available and the sets come with the base coat and top coat too – a quick three step nail process and your nails look like you’ve had a full manicure. 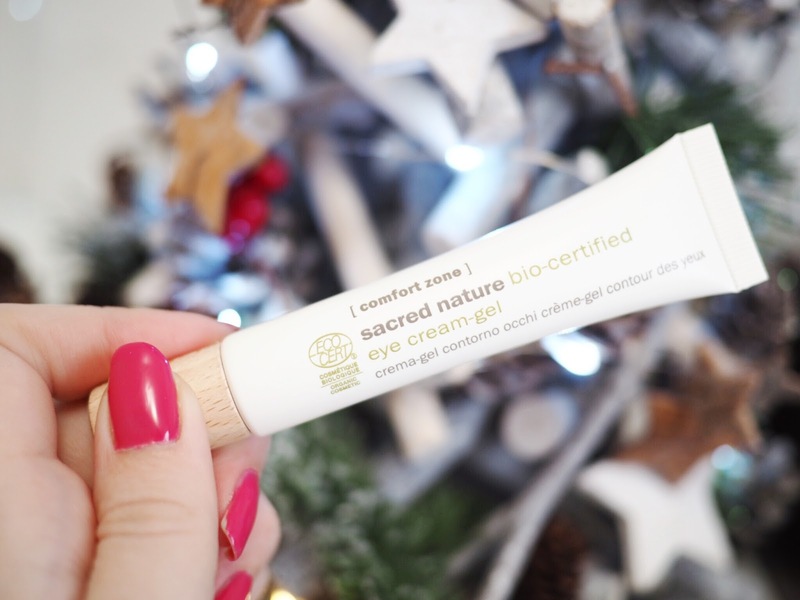 While I indulge in some under eye masks before the party, after the event I’m turning to Comfort Zone’s Sacred Nature Eye Cream Gel to reduce the puffiness and revive my tired eyes. A quick dab underneath the eyes and the bags look fuller, less deep and a bit more alive. Great for those mornings after the party when you’ve got to drag yourself out of bed. Plus it’s natural and organic which means you feel like you’re being healthy too – which is always important after one too many Christmas cocktails.. 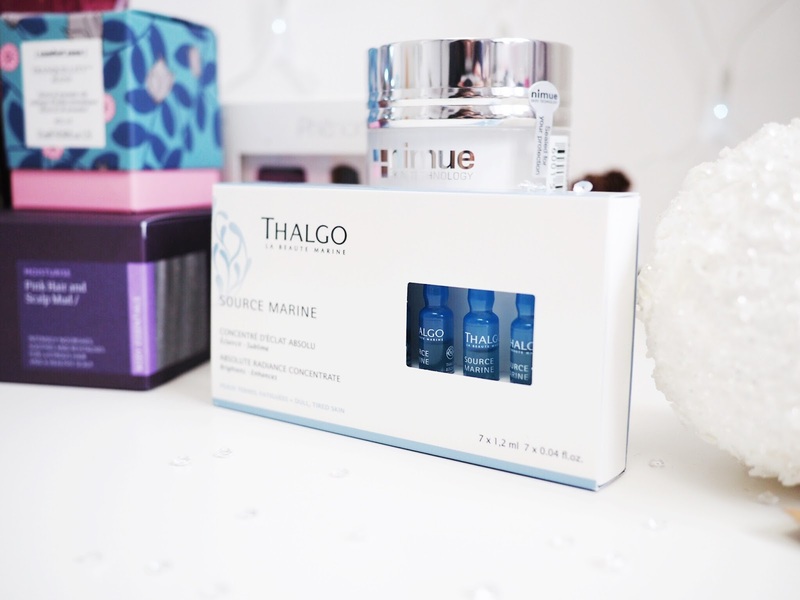 Perfect for use on party day, but also for the week afterwards as well, The ampules of Thalgo Absolute Radiance Concentrate are designed to be a one-hit-wonder for brightening the skin. Which is great for those weeks infront of (and after Christmas) when it’s back-to-back parties, events and get togethers. Designed to combat dull and tired skin, this little ampule goes a long way. Open the top, pour onto hands and apply to face in a washing motion and you’re good to go. 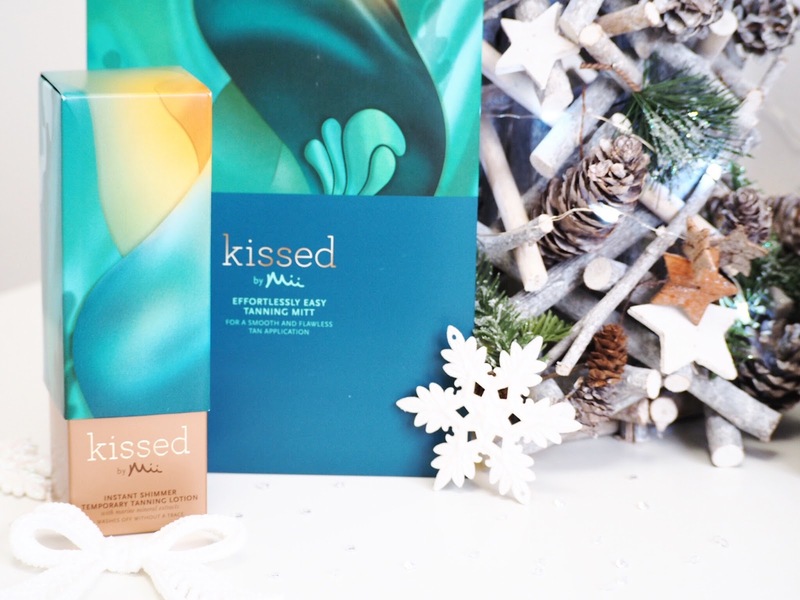 Each pack includes a week’s worth – so your skin will feel like it’s had a post-Christmas holiday because it will be looking so rested and refreshed! I think this is my favourite product of everything! I’m constantly busy anyway, and that’s without the post-party hangover making things worse. 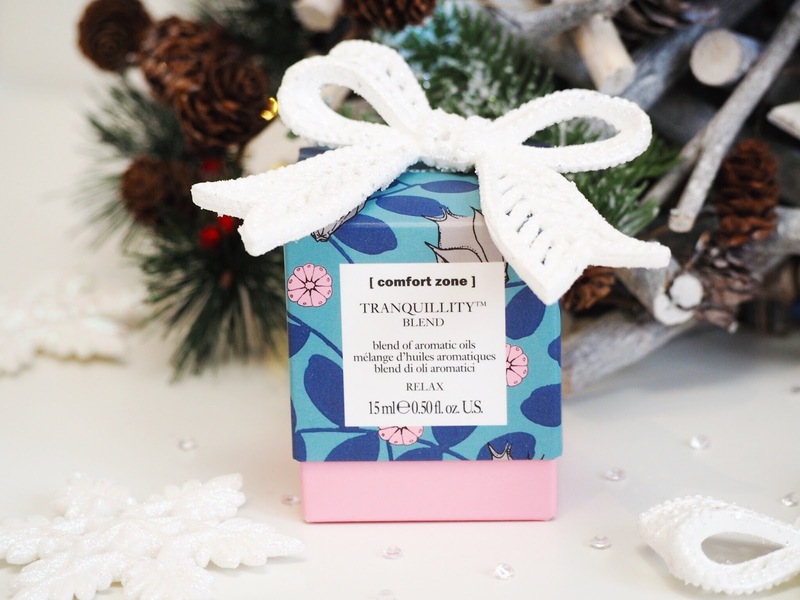 The stunning blend of aromatic oils in the Comfort Zone Tranquility Blend draws on aromatherapy principles to relax you when a few dabs are applied to pulse points, neck and behind the ears. 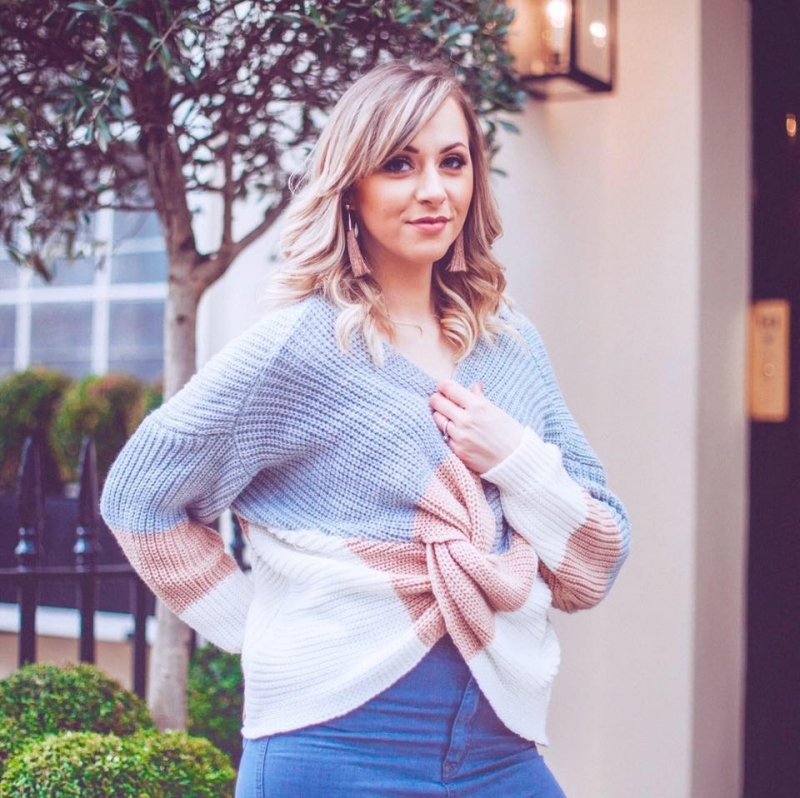 It works to instantly relax and calm, which is huge when recovering from party season, but also generally when you need to de-stress and enjoy some down time in peace. I love this so much I’ll be buying it for my best friend who has sleeping problems to try and help her feel as rested as possible. So with party season upon us, this is my ultimate get-ready-and-go guide. 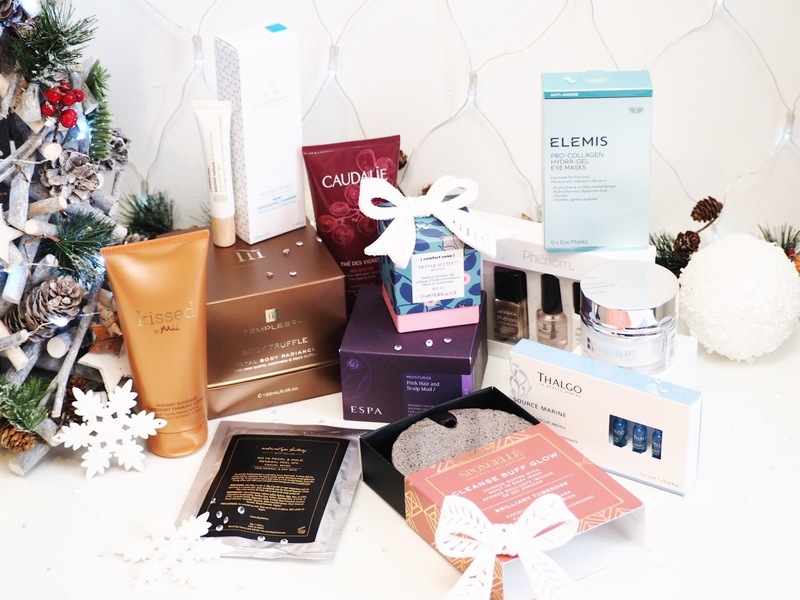 You can have the ultimate pamper and prep at home with these goodies, or you can go all out and treat yourself to a proper Spa Day (think of it as a gift from Santa, just a bit early) just head over and check out The Good Spa Guide.